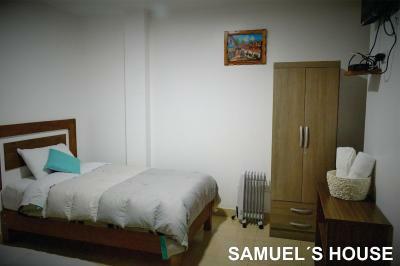 Lock in a great price for Samuel's House – rated 8.6 by recent guests! Staff was very friendly. Excellent home cooked breakfast. Carlos was very welcoming. A wonderful person. The staff is so helpful. She will tell you everything you need to know about climbing Machu Picchu and things to do in Aguas Calientes. Service is the best in my extensive global travelling experience. When we arrived in the train station, a hotel staff was there waiting for us unexpectedly. He took us to the hotel, which made our life a lot easy. 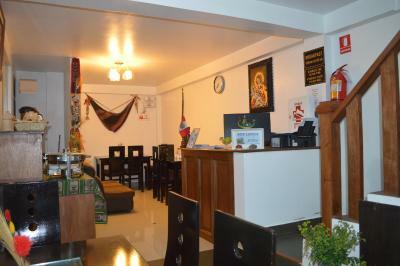 The hotel owner gave us detailed and wonderful suggestion for visiting Machu Picchu. She asked the hotel staff to take us to the bus ticket office for purching bus ticket before the office was closed at 9:30pm. In the next morning at 4:50am, when we left for taking the first bus, each of us was given a box of lunch, filled with swandich, snacks, banna, origin, bottle water. 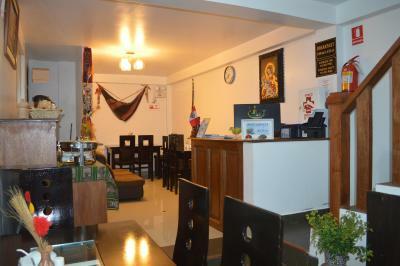 The hotel condition is very good for the asked low price. Very helpful staff. She picked up us from the train station and if you don’t have bus tickets to Machu Picchu, she’ll guide you to the ticket office (better buy it one day before your trip). Good breakfast with scramble eggs, toast, ham, juice, etc. Also provide lunch box with a very reasonable price! Very convenient for travelers! 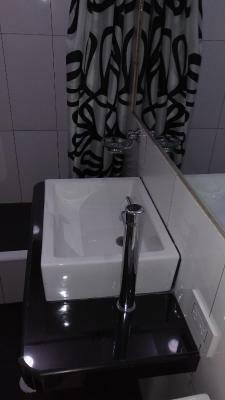 Room is not big (reasonable size with the price) but clean. The lady at the reception was very nice and helpful, full of information & advice on Machu Picchu. The shower is excellent. Staff super helpful and explained everything for our trip to Macchu Picchu when we arrived so we we well briefed. Also made us a breakfast to go at 4am for our early start for hiking. 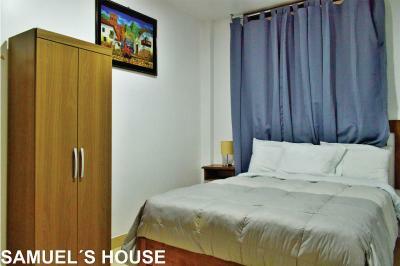 Super location, clean and warm! 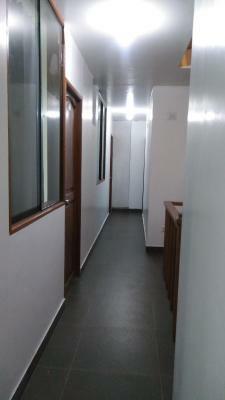 Location was excellent- walking distance to both train station and bus station. Beds were very comfy, breakfast was delicious, and the staff was very kind to store our luggage past the check-out time so we could visit Machu Picchu. 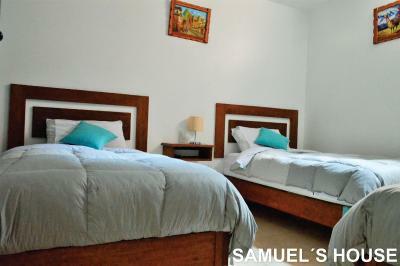 Samuel's House is located in Machu Picchu, 2,300 feet from Machu Picchu Hot Spring and features a shared lounge. The property is close to several noted attractions, around 1.6 mi from Machu Picchu Historic Sanctuary and around 1.6 mi from Huayna Picchu. Attractions in the area include Stadium, a 1-minute walk away, or Craft Market, located 350 feet from the property. 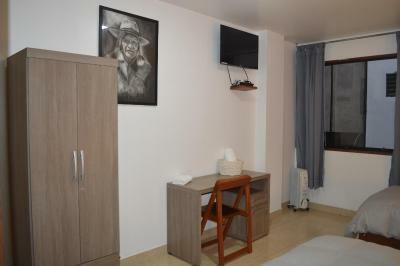 All guest rooms in the hotel are fitted with a flat-screen TV with satellite channels. 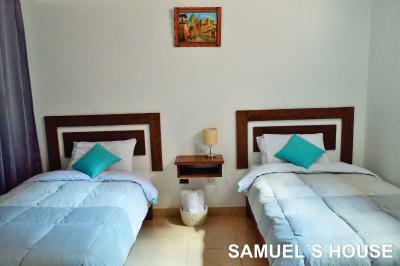 Featuring a private bathroom with a bath or shower and free toiletries, rooms at Samuel's House also feature free WiFi. All rooms have a desk. 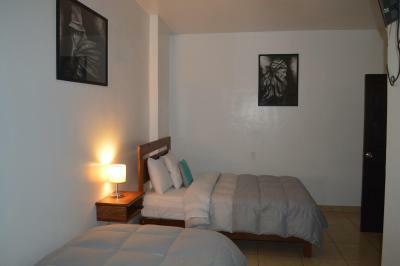 Bus Stop is 1,000 feet from the accommodations, while Wiñaywayna Park is 1,000 feet from the property. 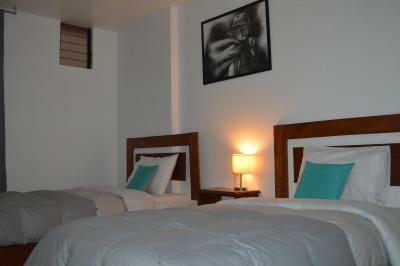 The nearest airport is Alejandro Velasco Astete International Airport, 47 mi from the property. 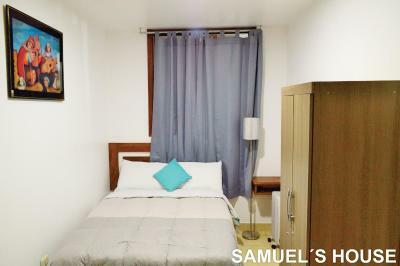 When would you like to stay at Samuel's House? 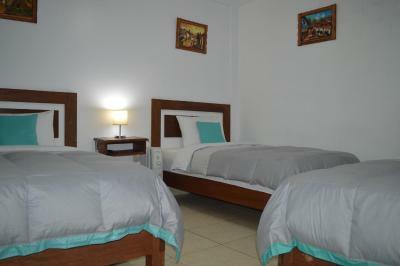 This twin room has a private entrance, tile/marble floor and satellite TV. 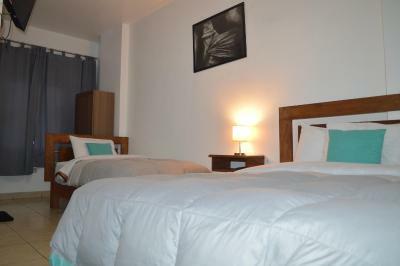 This twin/double room features a tile/marble floor, private entrance and cable TV. 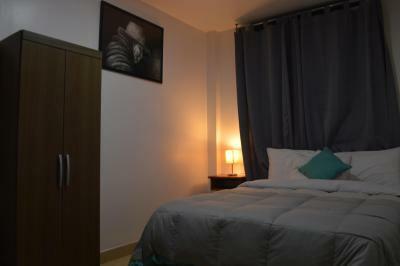 This double room has a flat-screen TV, private entrance and tile/marble floor. House Rules Samuel's House takes special requests – add in the next step! Please inform Samuel's House of your expected arrival time in advance. You can use the Special Requests box when booking, or contact the property directly using the contact details in your confirmation. 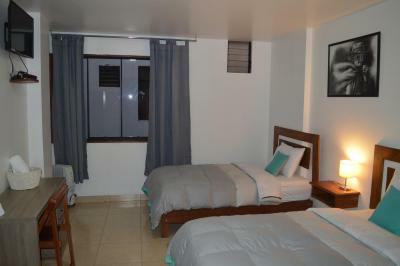 The room was extremely clean and I had the best shower in my trip during Peru. 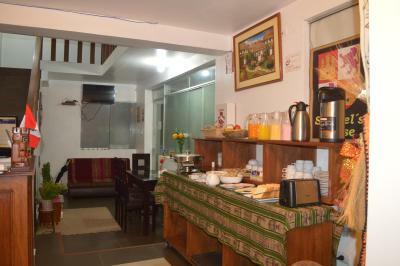 The reception is very nice and tells me a lot of information that I need to visit Machu Picchu. She is very kind to ask me the time that I plan for my breakfast so that she will prepare in advance. Was not the best neighbourhood for night walks. Daytime was fine. The Reception is very nice and Professional! She knew what we need ! Tell me the more important information! Highly recommend you come and stay! The room had only one tiny window close to the ceiling, and one overhead light. The walls were thin so we could hear our neighbors very clearly. Breakfast was minimal. Front desk staff was very helpful. The bathroom was modern and the shower pressure was very good. We stayed here on December 20th, which us Inca summer solstice. The whole town celebrated in the night and the room is not soundproof, so it’s hard to sleep. 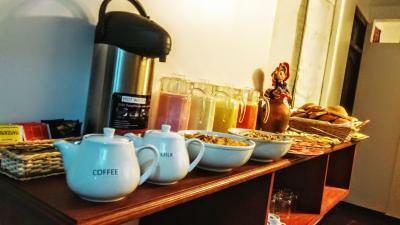 Unfortunately, we only stay 1 day and there was a problem with the delivery of eggs so our breakfast was bread + coffee. To compensate this, they gave us a box lunch to take it to our trip to machu picchu. 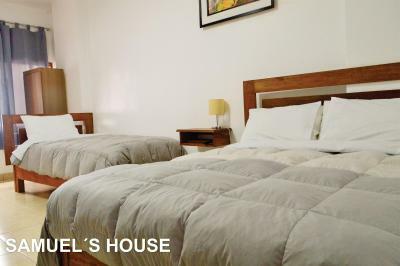 The beds are comfortable with huge blankets so you won't need a heater nor will you be cold. 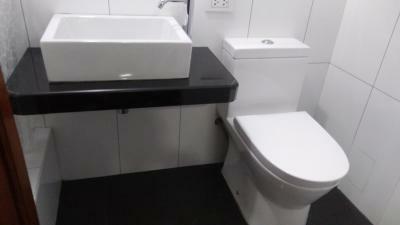 Bathroom is a bit small but there is hot water running all the time. Breakfast starts at 5am so you could eat something before going to machu picchu. It is a small room but it is ok because you stay only one night to go to MP. The location was great, the bath totally reconstructed. The manager allowed us to do late check out. No air, tiny room, damp and very smelly inside the room, not comfortable, wet, even if you open a door/window it only leads in the corridor of the house.